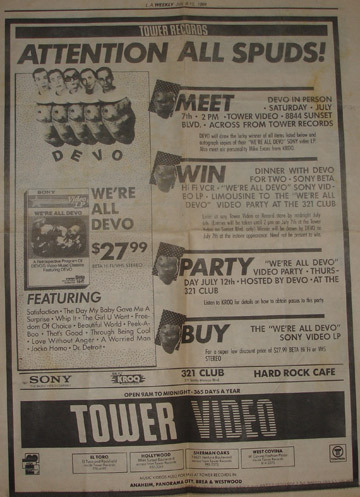 Newspaper advert for DEVO Meet & Greet in Los Angeles July 1984. Win dinner with DEVO! Thanks to Dan Ductor for this donation to the Devo-Obsesso archives!